The wait for AMD’s long waited Ryzen microprocessors is almost over. According to many sources worldwide, at least some of these next-gen high-end chips are going to be released within February 28th – March 2nd timeframe. With the NDA being lifted at the end of the current month, we can expect to see the reviews and benchmarks on the launch date too. The reports suggest that it’ll be the flagship 8-core/16-thread models coming out first, followed closely by the others members of what is supposed to be a family of no less than 17 brand new CPUs. Various tech publications seem to have already gotten their hands on review samples; which means Ryzen is being put through its paces as I write this! It’s about time, you may say. The last few months have been quite the trial for every personal-computer enthusiasts out there! With every bit of anticipation geared toward AMD’s latest desktop processor, all the traffics of tech world’s fast lanes seemed to be moving into one direction only – Ryzen. 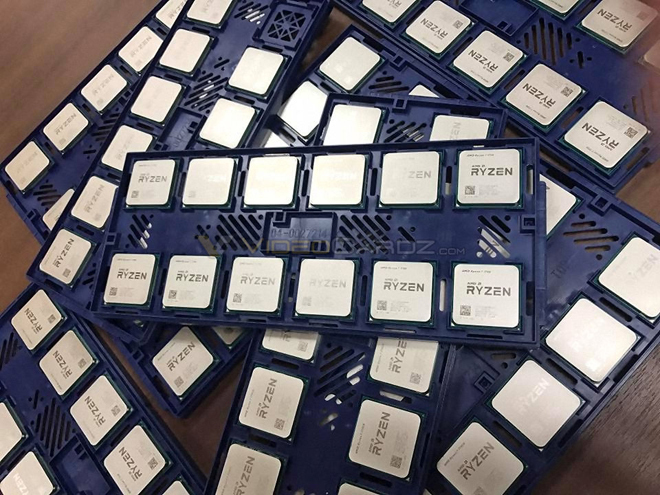 Not often a piece of hardware gets this much attention from media and fans, but then Ryzen at this moment is not just a piece of silicon – it has become the symbol of long lost competition in high-end processor space. And it’s the exact segment where AMD is going to draw the battle lines. We already have a list of Ryzen processors in our disposal; have at it if you like. This list is not official and by no means complete, we’ll update it accordingly when AMD officially publishes one. Just as we reported before, AMD is going with a new naming scheme where the ‘R’ prefix obviously stands for Ryzen. But that’s not all; AMD is also dividing the new chips into three distinct families – R7, R5 and R3. Now, you can see what message AMD is trying to convey here by borrowing a page from it’s arch-rival’s book – it believes Ryzen has what it takes to go toe-to-toe with Intel’s incumbent i7/i5/i3 families. 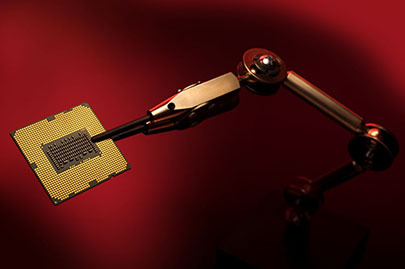 Spearheaded by the mighty 1800X, the R7 chips are all full-fledged octal-core parts aided with SMT (Simultaneous multithreading) and a massive 16 megabytes of last level cache. With its high core count and clock-speed, the R7s are poised to take on Intel’s HEDT processors like i7-6800K/i7-6900K in highly threaded workstation environments. The 6C/12T R5s too have the same 16MB L3 cache while the 4C/8T parts get 8MB. Look out for the likes of R7 1700 and R5 1500 both of which could become darlings of power users if things go as projected by AMD. Finally there is the R3 with “only” four physical cores and 8 MB L3 – you can guess why Intel is shipping Pentiums with HT enabled! Aside of delivering a huge increment in IPC (Instruction per Clock-cycle), one of the design goals of Zen micro-architecture was to increase energy efficiency - an area where AMD’s last generation FX processors failed miserably. To that end AMD’s engineers seem to have kept their promise – or at least that’s what the power numbers suggest. Flagship Ryzen CPUs sport a TDP of only 95W which is excellent if you consider the number of cores on offer. Some models like the R7-1700 come with an even lower 65W footprint which suggests a certain amount of scalability within the architecture. And this is where XFR is going play a big role. XFR or Extended Frequency Range is Ryzen’s secret sauce – it’s an algorithm that propels the core-frequency beyond the range of conventional Turbo-boost, given there is temperature headroom. The ‘X’ suffix denotes the availability of XFR and may represent better binning. AMD claimed back in its New Horizon event that XFR would reward enthusiasts with better cooling but didn’t clarify on what their perception of better cooling is. Regardless, every Ryzen CPU is unlocked and very much overclockable and you don’t have to pay extra for that! Needless to say, the best thing about Ryzen is its price - provided the suggestive prices hold-up. Can you imagine how a processor like R5 1400X – a legitimate quad-core chip with SMT enabled, is going to impact the budget conscious mainstream market when sold for ~$199/INR.14,000? I can and I can’t wait for that!